San Antonio is going to surprise you. Here's how. There’s something different about San Antonio — a city exactly 300 years in the making. It’s complex, vibrant, and constantly reimagining itself as a bigger, better, bolder version of itself. Yet the “Alamo City” also embraces its past, its history, and the cultures that have combined to make it one truly dynamic melting pot. Now, with a tricentennial celebration nearly underway, there’s never been a better time to experience what’s deep in the heart of Texas — and to figure out for yourself how San Antonio will surprise you. 1. The Alamo is just the beginning. The Alamo is a crucial part of the story and identity of San Antonio, definitely, but you might not know that the Alamo actually has four “sister” missions that also call the city home. Built by Spanish missionaries along the San Antonio River in the 18th century, these four missions — Concepción, San José, San Juan, and Espada — plus the Alamo make up the only UNESCO World Heritage Site in Texas. You can’t visit the city — especially on its 300th anniversary — and not visit the missions. Entrance to each, including the Alamo, is free, but you’ll probably want to hop on a guided tour. The Alamo is also constantly hosting events (including movie screenings), so check out the calendar before you plan a trip. 2. Craft brewers are doubling down on the flavors of San Antonio. For many travelers these days, the local craft beer scene can make or break a city. In San Antonio, it’s not only making the city, it’s starting a conversation nationwide about what it means to be a truly local brewer. For example, Alamo Beer Company pairs with local restaurants, serving food in their beer garden, while Freetail Brewing Company created a whole set of La Muerta reserve beers in honor of San Antonio’s incredible Día de los Muertos festivities. And that’s only the beginning. 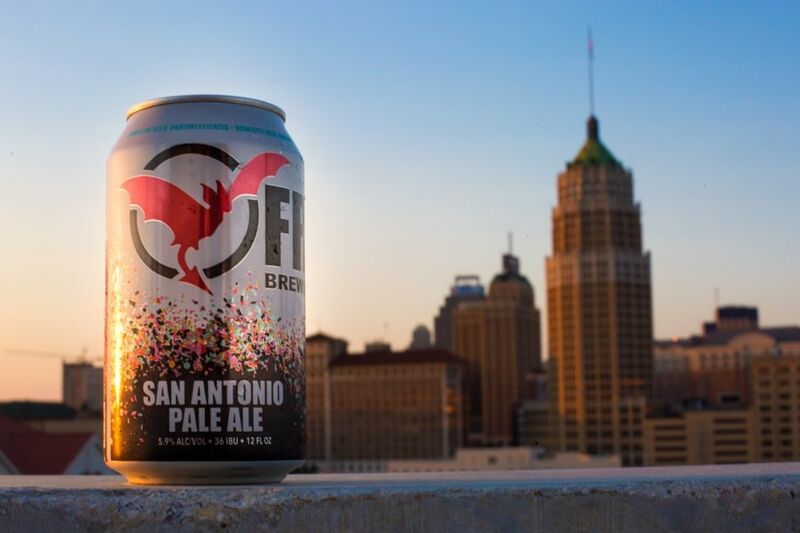 The beer isn’t just good — it screams San Antonio. 3. San Antonio has an answer to Broadway: The Majestic Theatre. People generally associate the glitz and glamour of a Broadway show exclusively with NYC. In Texas, though, minds race to San Antonio’s lavish and luxe Majestic Theatre. Every year, a handful of the most anticipated Broadway shows take up residency, giving folks the chance to finally figure out why everyone is still talking about Wicked. For the 2017-2018 season, there are unexpected shows like The Hip Hop Nutcracker alongside classics such as Cinderella and The Color Purple — even a touch of the subversive with comedy from Bill Maher. But really, half the adventure is just being there. Imagine sitting in a palace of entertainment as the lights fade and everything turns to gold. Walls become towers with windows of colorful glass. On the ceiling, a white peacock perches on a balcony railing as doves are caught in mid-flight. The vaulted “sky” comes to life as stars twinkle and drifting clouds pass by overhead. The details — balconies, arches, elaborate ornamentation, statues, even a bell tower — all transform simply sitting in the theatre into an almost-mystical experience. 4. You can see a professional rodeo and a pop-star performance all in one show. When they say “Let’s Rodeo San Antonio!” they mean it. 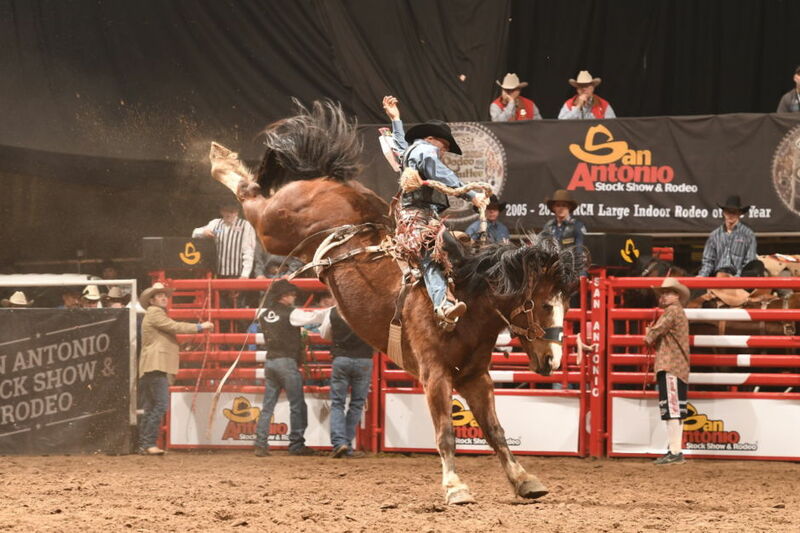 The San Antonio Stock Show and Rodeo, which got its start back in 1949, is one of the most widely acclaimed professional rodeos in the world. Each night you can watch real-life bull riding, steer wrestling, and mutton bustin’ (you have to see it to believe it — and to understand it) followed by live performances from some of the biggest names in the music industry, like John Legend and Fifth Harmony. This is no small-town gathering. In 2018, it all goes down February 8-25, and you can expect to be in good company — about two million people will make their way to San Antonio over the course of the month. 5. San Antonio portions — and flavors — can make “everything’s bigger in Texas” look like an understatement. Everybody knows things are just bigger in the Lone Star state — Texans are constantly bragging about it. San Antonio takes it to the next level, though, at an unassuming stop off I-35 called Lulu’s Bakery and Cafe. Here, you can order one of the best cinnamon rolls of your life, but it comes with a caveat…you probably can’t handle it, because the cinnamon rolls weigh three pounds. Let me repeat: THREE. POUND. CINNAMON ROLLS. You’ve been warned. Of course, everything in moderation. On the other side of the spectrum, restaurants like Green Vegetarian Cuisine and Viva Vegeria show that healthy eating and incredible taste (and Tex-Mex!) aren’t mutually exclusive. 6. There are plenty of hotels to choose from — haunted hotels, that is. With such a long history (300 years, remember?) there’s bound to be a ghost or two hanging around. While there are plenty of places to go ghost hunting in San Antonio, only the bravest of the brave try to sleep in the same room as one. Between the Menger Hotel and the Emily Morgan (apparently once a former medical center and regarded as one of the most haunted hotels in the world) — both overlooking the Alamo — ghost hunters from far and wide come to San Antonio to see if they can catch a glimpse of a ghoul or two. Of course, you can hop on a tour, too. There are tons of operators (Alamo City Ghost Tours, Bad Wolf Ghost Tours, Sisters Grimm Ghost Tours), which speak to just how old — and probably haunted — the city is. 7. San Antonio is actually huge. Don’t mistake San Antonio as simply a weekend destination for visits to Six Flags Fiesta Texas and SeaWorld San Antonio (though those places are awesome). This city is actually bigger and bolder than Dallas and Austin; it’s the seventh-largest in the US by population. 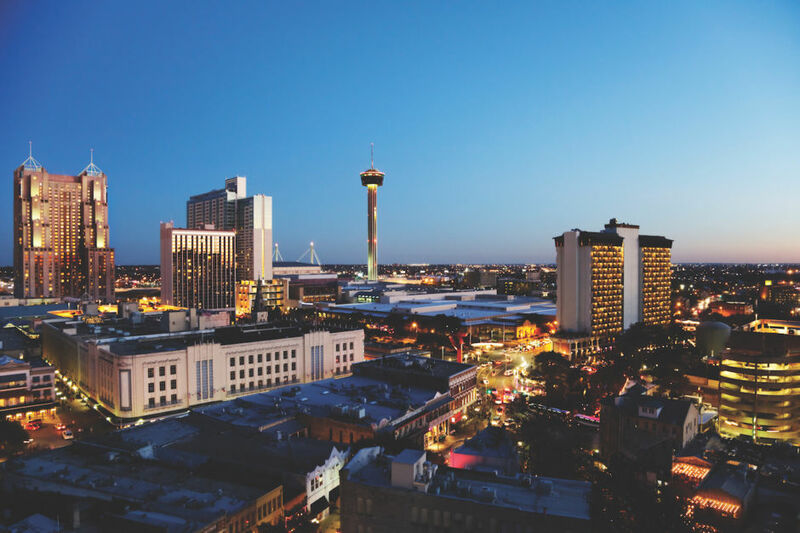 Not only that, San Antonio is growing every single day as more people are let in on the secret…which means every time you come, there will be something new to check out. 8. Foodies freak out here. 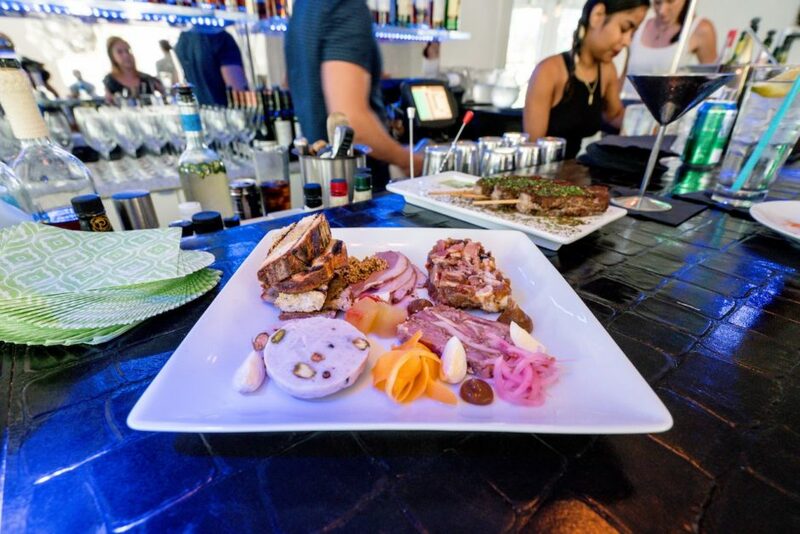 San Antonio is serious about food, and with influences from so many different cultures and ethnicities, it shouldn’t come as a surprise that foodies are flocking to get a taste. 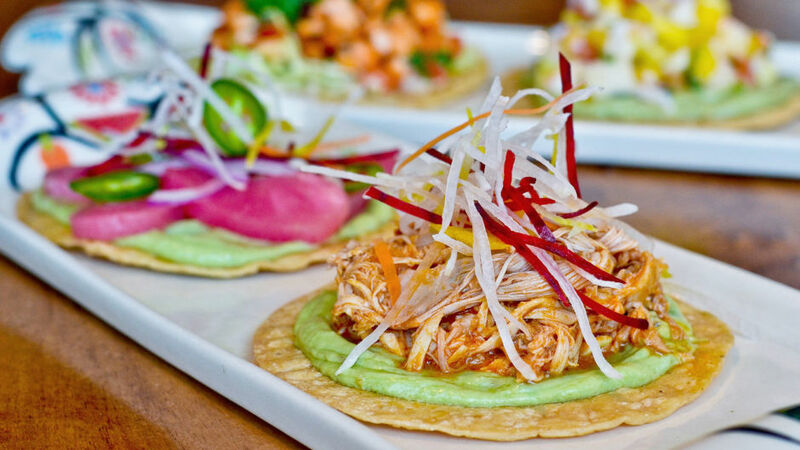 From traditional Mexican pastries like pan dulce to Czech-inspired kolaches, moody Japanese ramen downtown to pimento grilled cheese on the River Walk, and — of course — every single type of taco imaginable, you’re not going to leave San Antonio hungry. 9. The best way to get around downtown is by water. Anyone who knows San Antonio is surely familiar with the city’s beautiful River Walk, twisting and turning along the course of the San Antonio River. The attraction, which was originally designed way back in 1929, is urban planning at its best — think 15 miles of cypress-lined paths, stone archways, and plenty of patios. There’s also no shortage of shops and restaurants, but the real highlight is a trip on the water. Get on one of the many river cruisers to take in some of the city’s best sights while learning about its 300 years of history. 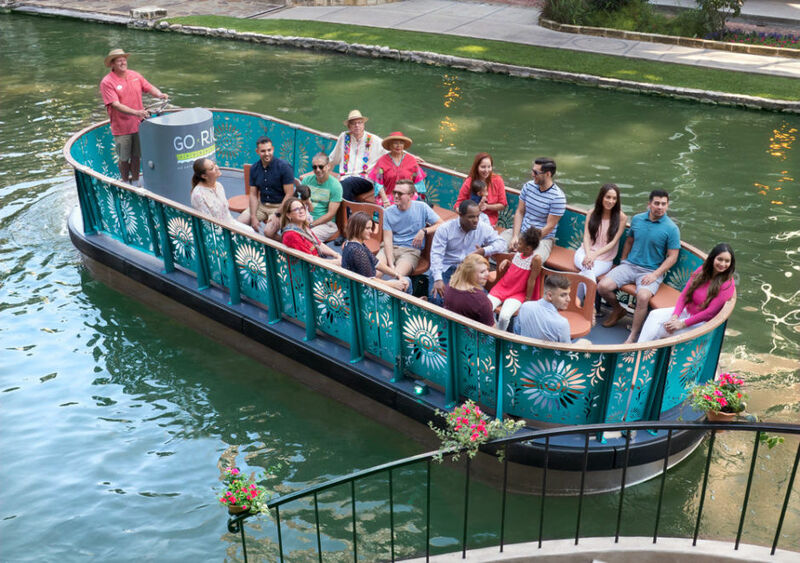 The standard ride lasts around 30 minutes and hits all the top spots, after which you’re in prime position for dinner, drinks, dancing — whatever you’re looking for — along the River Walk. 10. The museum and festival options feel limitless. In San Antonio, you could easily spend a week exploring the city’s art museums, galleries, and music scene and still not feel like you’ve made a dent. 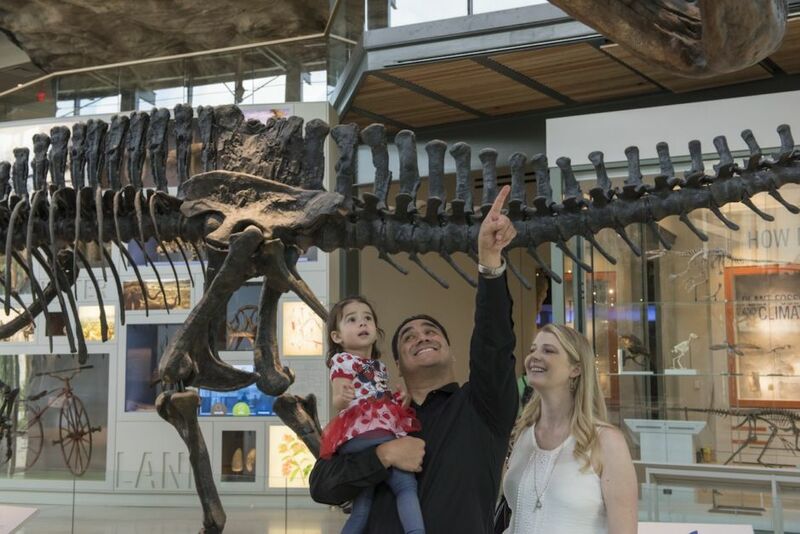 From the Witte Museum’s Naylor Family Dinosaur Gallery to the San Antonio Museum of Art and its Latin American collection — one of the most comprehensive on the continent — it’s easy to be overwhelmed by the sheer number of spots. And thanks to the upcoming anniversary, that number is only climbing. Festivals like the Founders’ Concert and Tales from the Edges of Spain, both international music festivals, are popping up all over. Then there’s 300 Years of San Antonio History: Confluence and Culture (at The Witte), ¡Viva Hemisfair! (a 50th-anniversary celebration), and Spain: 500 Years of Spanish Painting from Madrid Museums (at the San Antonio Museum of Art). This year, it’s inescapable. 11. The best parades don’t have floats — they do float. If you think about it, parades are kind of like rivers — groups of festive people flowing in one direction. 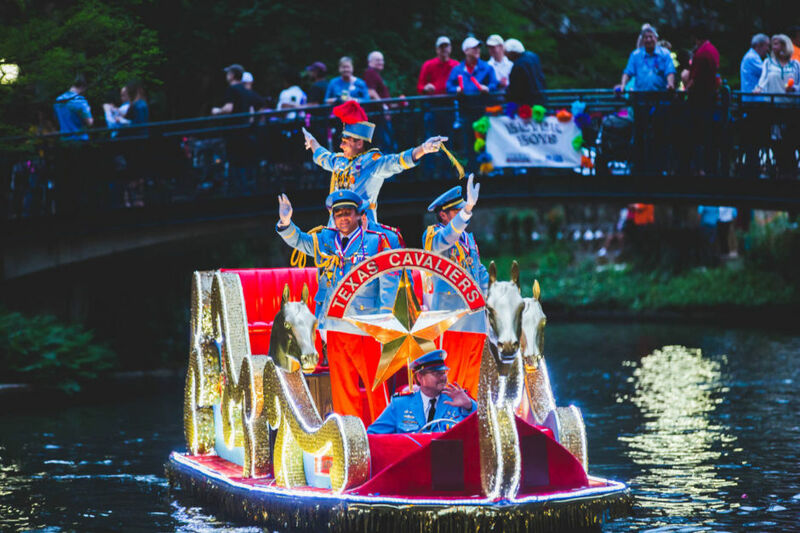 But in San Antonio, parades are actually on the river. There’s the Ford Holiday River Parade, where Santa’s sleigh is magically buoyant, the Armed Forces River Parade, and, during the amazing Fiesta San Antonio, the Texas Cavaliers River Parade, where over 250,000 people gather to check out immaculately decorated barges that put the “float” in parade floats. That’s a quarter of a million people, all gathering to see what makes San Antonio so special.